Unlock your Shopify store's hidden revenue. We’ll analyze your data for you so you can focus on what matters the most. 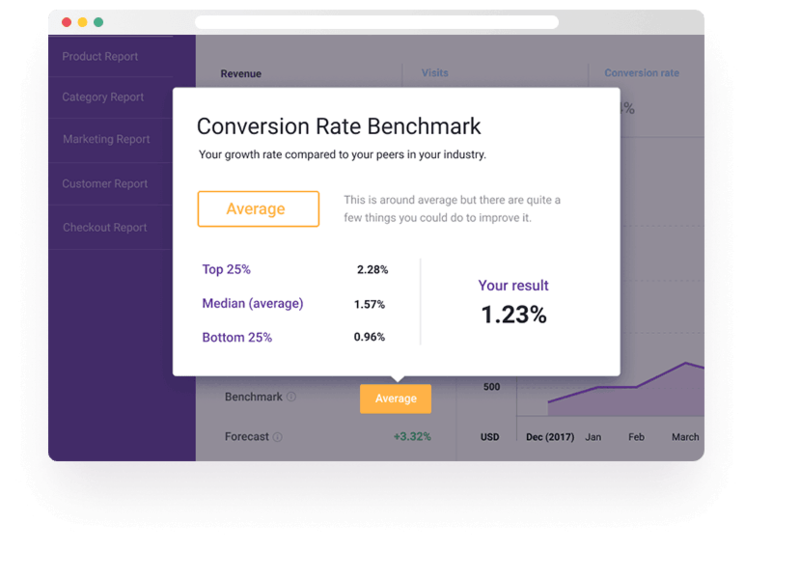 Get instant ecommerce analytics, powerful CRM and personalized recommendations all in one place. Connect your data sources. Get insights in minutes. You already have LOTS of separated data. We aggregate this data for you, and make it meaningful. 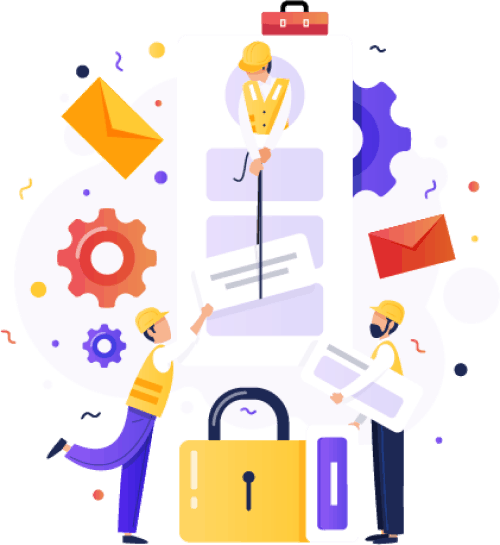 Boost your website traffic Do you know which marketing channel brings the best conversion rate or which keywords you need to use in your campaings. Plug the leaks in your online store Do you where you are losing customers? Find the leaks, and increase your conversion rate. Find the hidden gems in your product list Which products to feature? Which product descriptions should be improved? Which should be promoted in PPC? Which shouldn’t be? Monetize your existing customer base better Do you know who are your best customers in your ecommerce store. And do you know their loyalty level for your company. No more guessing what to do. You don’t need an army of analysts to make good decisions. See the future. 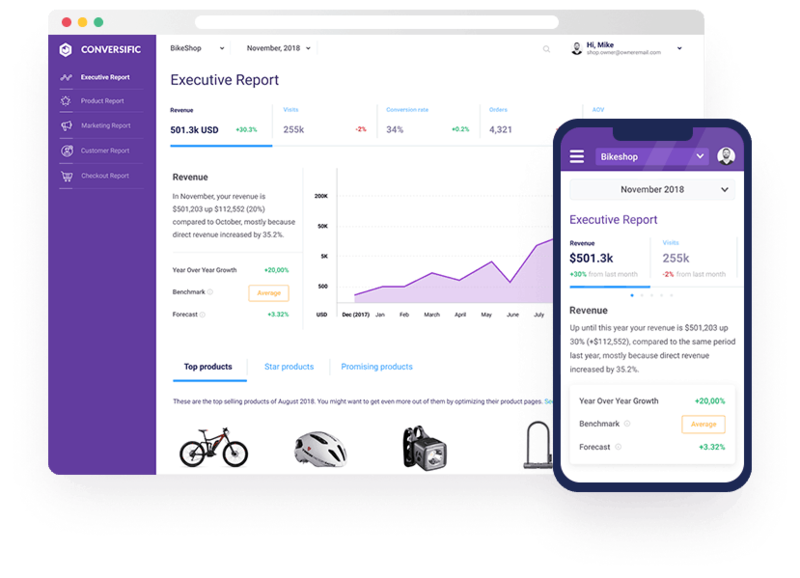 Not kiddin’.Conversific’s forecast puts you back in the driving seat with accurate sales, orders and new customer predictions. 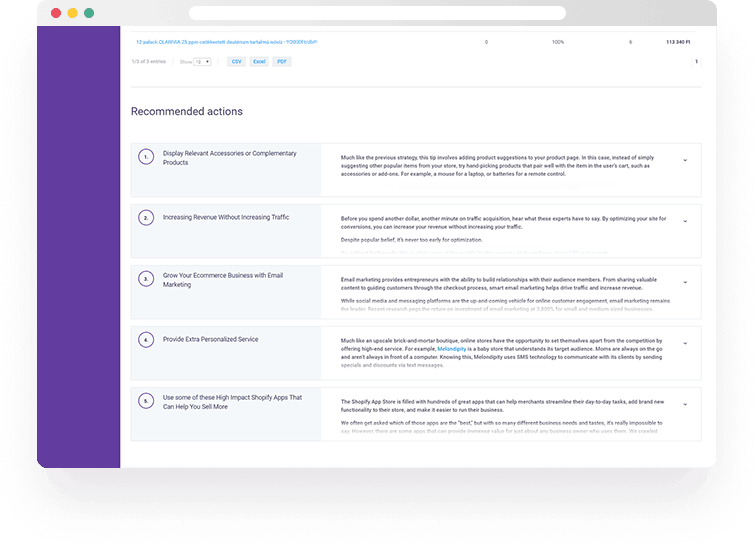 Detailed todo list for each insightWe take the guesswork out of our recommendation, and create you personalized list of action items you can start working on. Conversific has made our business transparent. Right now, I don't need to upgrade Shopify membership just to get more detail report for my store performance. 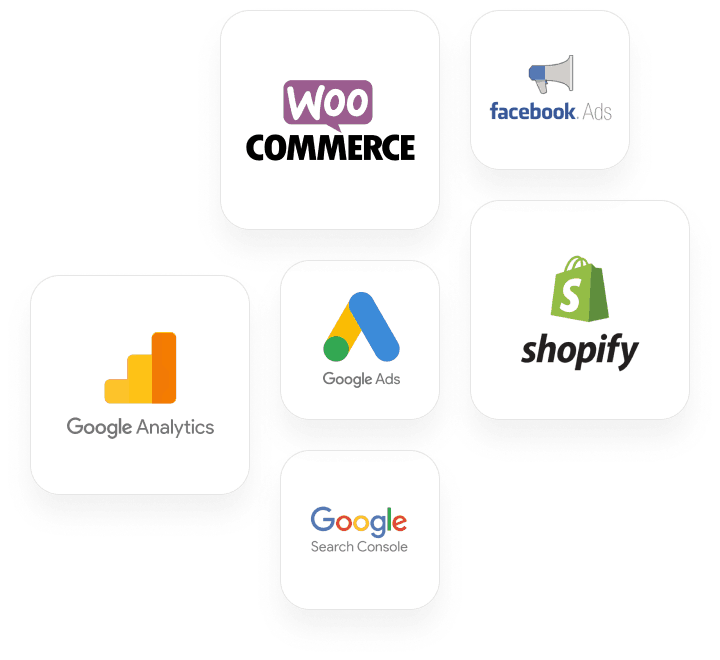 It's ease of use, smooth integration to Shopify and tremendous data helps to make a decision which product needs a boost promotion or which one we should stop to sale :). They also have a funnel report which could increase our profit. 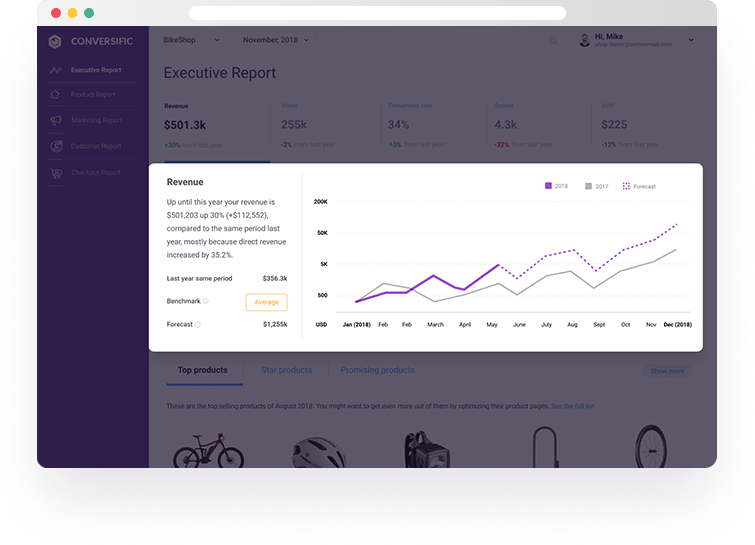 Awesome app to give you amazing insights so you can optimize your best products customers and more. This is something businesses overlook many times but with this app, it makes it easy to do and worth it after using this to make some tweaks. Watch the $$$ roll in and be rewarded. Great support as well as continuously updating to make it better. Thanks, guys Anna, Steve and everyone else at Conversific for doing a great job! Really nice app giving interesting insights. It provides a lot of details allowing to make decisions accurately. I was looking for an app giving pieces of information at the product level and this one offer these features. In my opinion, this app is a must-have for store owners. Now I like my Analytics!! I thought I am not a stats guy... now I am! Looking at the numbers in Conversific is fun and it helps a lot to understand them as well as my customers and what they want. Looking forward to seeing the product grow and get even better! minutes—for free, and no credit card required.